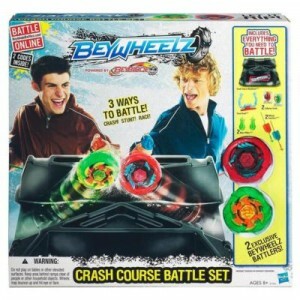 Check out this new hot item on toy store shelves: the Beyblade Beywheelz Crash Course Battle Set. Manufactured by leading toy manufacturer Hasbro, the Beyblade Beywheelz Crash Course Battle Set comes with two exclusive spinning battlers (Soaring Wing Pegasus and Doom Fire Drago) with Wheelz launchers, stunt goal accessory, 2 blast pillars, 2 collector cards, instruction manual and a BeyArena to do battle in. 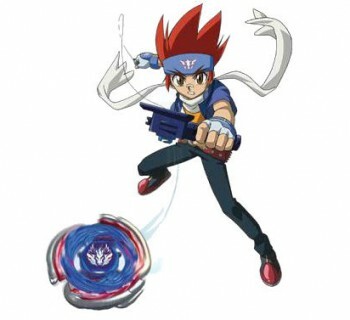 Each Beyblade Beywheelz battler has four parts – the SPIRIT AXLE, SPIRIT SHIELD, ENERGY CORE, and ATTACK GEAR. 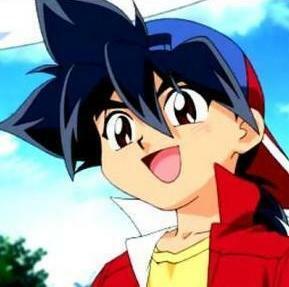 You can customize BEYWHEELZ battlers by switching parts with other Beyblade BEYWHEELZ battlers. Charts on the package illustrate the category strengths of each battler's SPIRIT SHIELD, ENERGY CORE and ATTACK GEAR, which can be your guide when customizing your battler. 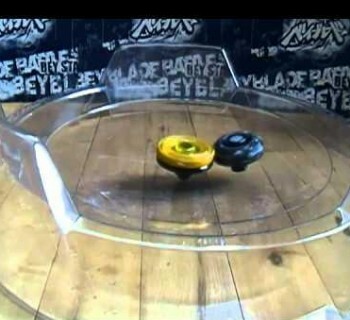 The Arena, that comes with the Beyblade Beywheelz Crash Course Battle Set, has ramps, Stunt Goal and Blast Pillars which can be arranged in a variety of ways to provide for three different ways to play the game. Two players can do battle by crashing into each other, performing the best stunts, or racing to the finish line. The instruction guide comes with battling ideas and tips to launch you into battle right away!